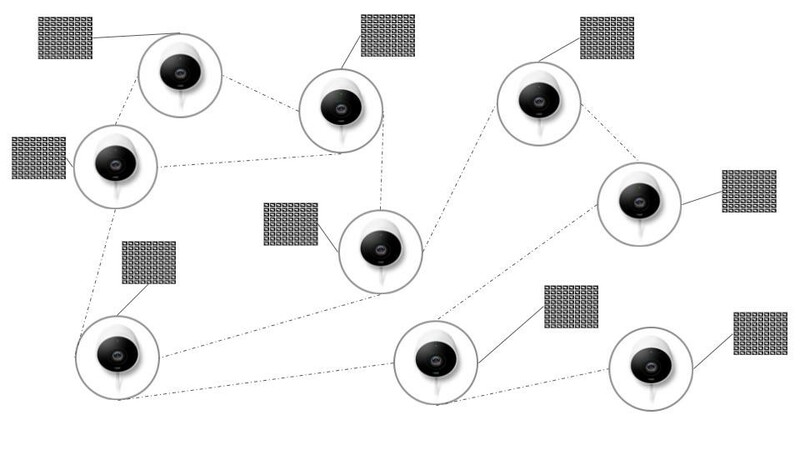 Buzz terms or not, Crypto Smart Cameras are the key to making Decentralized AI a reality. It is what I have been heads down focused on for the past couple of months. You can read more about where I’ve been and how I got to this point on this LinkedIn article. In this blog I’m going to overview the upcoming posts detailing the prototype architecture that inspired me. Full disclaimer, these are not the methods I’m using today, but the spring board I used to begin training more robust models using TensorFlow. It doesn’t just sound cool, it is cool. Smart Cameras are ubiquitous these days with standard features including motion capture, person detection and recognition, vehicle detection, pet detection, and more. Decentralized AI utilizes onboard processing to analyze images no cloud required. Metrics analyzed on a minutely basis are put on the next block. So why not combine this with crypto? Initial reactions are always lackluster, “but they’re not powerful enough”, “they’ll never make an impact”, and while that might be true to a certain point it becomes a different story at scale. My prototype cameras are based on the Raspberry Pi 3, which is armed with a quad core ARM Cortex A53 clocked at 1.2 GHz CPU, VideoCore IV 400MHz GPU, and 1 GB of SDRAM shared between the two. All in it’s got more power than my first computer, which was an Intel Pentium III 1GHz processor with 512 MB of RAM. In the upcoming blog post we’ll check out how to get pool mining on a Raspberry Pi and get 20H/s on only half of the CPU cores allowing for OpenCV to still capture and process our plant data. AIY is also a marketing term meaning AI-Yourself — that is the goal of these tutorials. These days, specialized hardware for an application is common place. Application Specific Integrated Circuits or ASICs have made a mark on the crypto mining community; resistance of ASIC mining has become a widespread topic among many Cryptocurrency communities. While the pushback against ASIC mining from the crypto community is more of a socioeconomic topic of centralization, ASICs of all types have made their impression. We have GPUs for vector processing, TPUs for tensor processing used in deep learning, and ASICs for crypto-algorithm execution. 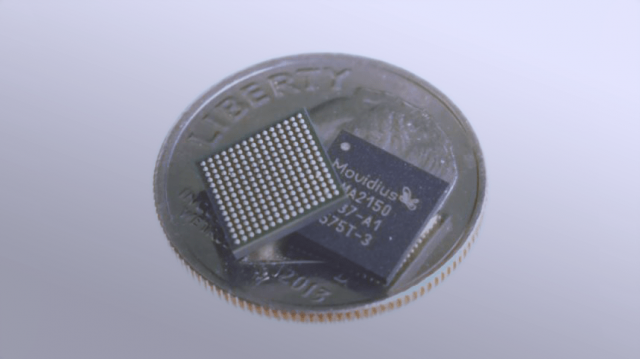 Intel’s Movidius has put out a VPU to process vision data. This specialized chip can increase performance of vision processing on Raspberry Pi 3 by 10x when compared to the Pi’s CPU alone. You can read all about it on PyImageSearch.com, by Adrian Rosebrock. I’m going to take a crack at the new AIY Vision Kit from Google. It’s based on on the Raspberry Pi Zero platform and comes with a Vision Bonnet which sports the Movidius MA2450 vision processing chip. They claim to increase TensorFlow model execution on the Pi Zero by 60x vs its CPU according to their demos. We will test out a simple toy Cannabis not Cannabis detector all in realtime on the Vision Bonnet and Pi. GreenThumb is currently exploring this technology as a coprocessor in our CyptoSmartCamera for manufacturing. I’ve already mentioned Adrian Rosebrock, but it’s worth noting his work on imutils saved me a lot of time. 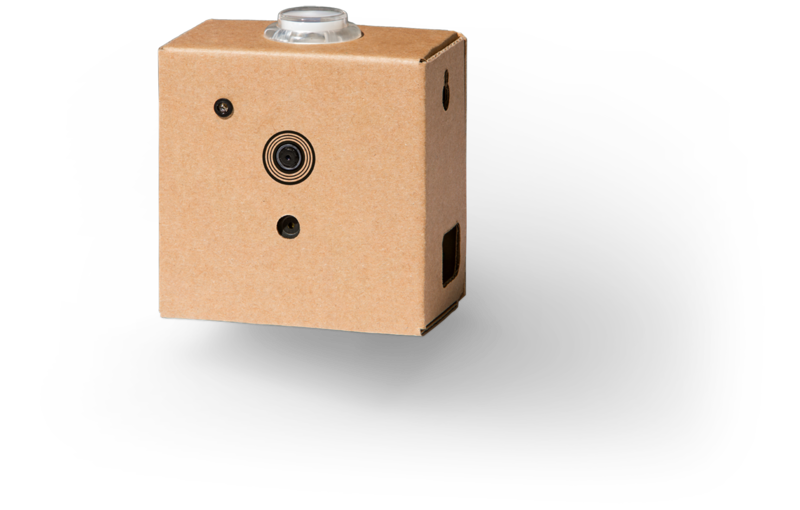 Not only does Rosebrock provide us with a great series of convenient features that make improve the over all developer experience when doing simple operations in OpenCV + MatPlotLib, but he provides the core modules for streaming data from cameras including the Raspberry Pi Cam. 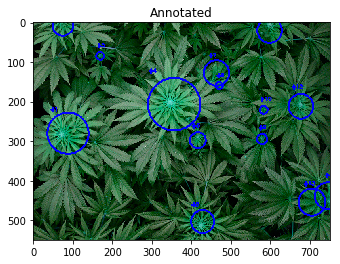 In the OpenCV blog post I’ll go over how two of Adrian’s blog posts inspired the very first Leaf Area and Bud Area analysis proof of concepts. The ultimate goal is to create an Open Source hardware and software prototype that any adventurous user could put together. The idea is to inspire and attract attention, because in order to accomplish our ultimate goal of a Decentralized AI I’m going to need help. So I offer a glimpse of the future of GreenThumb IO’s technology in this series of blog posts. I only ask for support, collaboration, and critical feedback in return. With these posts you’ll be able to build your own AIY Project prowered greenthumb.io SmartCam. Google AIY Vision Kit sporting its cardboard finish.